Another random road shot. 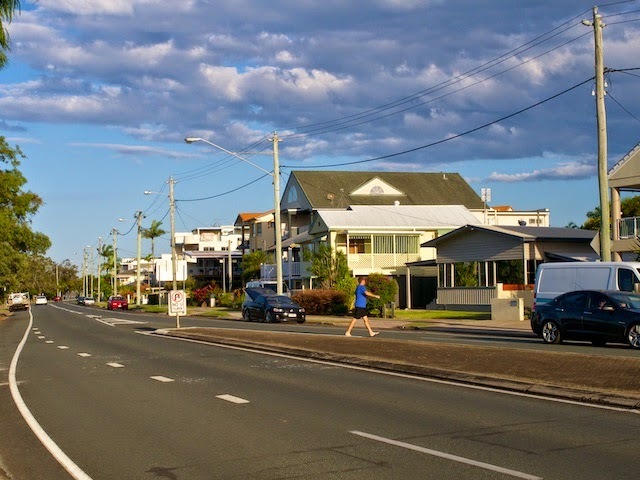 This one is Bradman Avenue at Maroochydore. All that stands between the houses is a set of power lines, four lanes of traffic travelling too quickly (when there is any traffic that is), and a bike path. I like the look of the sky! One more piece of bushland. Three heads are better than one. Two leaves on a leaf.